Remember when a couple of weeks ago we learned that there were humans monitoring conversations with Alexa? Well, we have more bad news about the microphone that is always on and that we have all invited to our homes. Amazon employees can "easily" discover the physical address of any user. 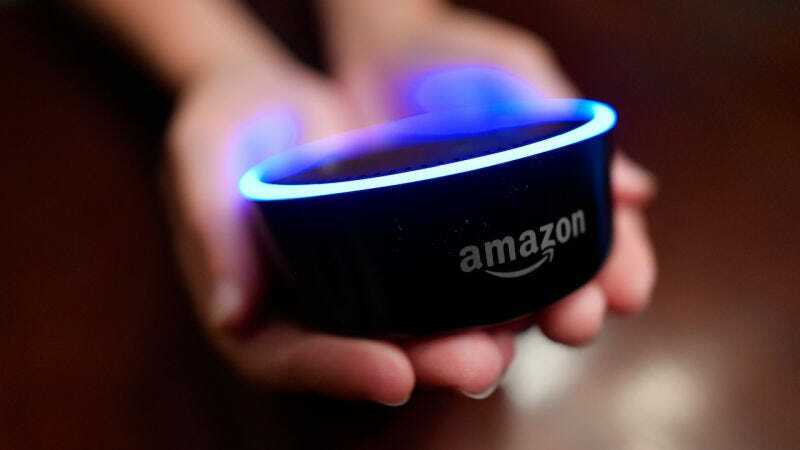 Team members with access to the geographical coordinates of Alexa users can easily write them into a third-party map software and see where a user's home is located, according to employees, who signed non-disclosure agreements that prevent them from doing so. speak publicly about the program. Bloomberg has made it clear that there has been no report of any employee or worker of Amazon who has abused this power and who has searched the homes of users. But they say that this function of backend it gives employees "unnecessarily extensive access to customer data". Amazon does not deny that its employees can easily locate users, but it minimizes the importance of this discovery. "Access to internal tools is highly controlled and is only granted to a limited number of employees who need these tools to train and improve the service by processing an extremely small sample of interactions," an Amazon spokesperson told Gizmodo. email. Where is the problem? Amazon has not specified what that "limited number" of employees is. According to Bloomberg, they could be thousands. "Our policies strictly prohibit access or use of customer data by employees for any other reason, and we have a zero tolerance policy against this type of abuse in our systems," the spokesperson continued. "We regularly audit employee access to internal tools and limit access whenever possible." But somehow this becomes even worse. Bloomberg spoke with an Amazon employee who said the backend from Amazon also showed the phone numbers of the users. That characteristic has supposedly been disconnected, but who knows what else is happening there? Alexa users clearly do not. Alexa's technology is really one of the best products of our era. It's easy, it's useful, and it's a nightmare for privacy that serves as a constant reminder of the fact that we live in a technological dystopia that we ourselves have created. If you still have an Alexa or any other virtual assistant in your home, be warned. If you have not already thrown your Echo into the sea, it's up to you. Because Silicon Valley clearly has no intention of worrying about your privacy. For the more impatient, a beta version will be available on Android between May 22 and June 4, but only in two countries, the United States and Japan. If you want to enjoy it, it will hack his home country in the Google Play Store, but beware: "vYou can only change countries on Google Play once a year. Therefore, if you change country, you can not change it before one year ". 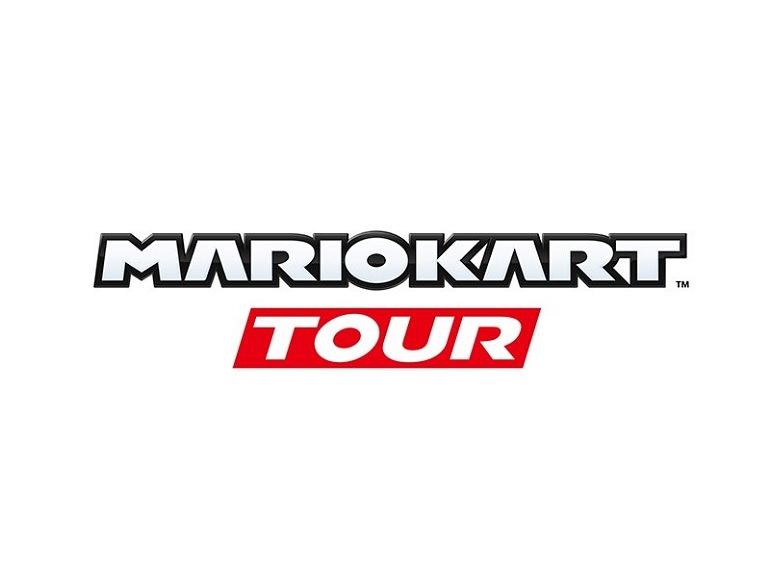 Unlike Super Mario Run which is paying, Mario Kart Tour will be a free title with in-game buying options. From the classic "free-to-play", as explained by Takashi Mochizuki, CEO of DeNA, the company in charge of developing the game. Finally, it will be available from its release on Android and iOS – no jealous, this time. In order to treat homeopathic gallstones, it is important to know exactly and to hierarchize the accompanying symptoms. Read here which accompanying symptoms indicate which homeopathic remedy and how gallstones can be treated homeopathically. The formation of gallstones is often not noticed by those affected. Only when symptoms occur, the gallstones can be determined by a special examination. Before it comes to a biliary colic, often occurs an inflammation of the gallbladder, which is accompanied by severe pain. The color of the stool changes when the bile is missing. The chair can become so bright that it looks almost white. A change of diarrhea and constipation can also be a sign of gallstones. Butter and fatty foods are often not tolerated long before stones have formed. Most sufferers suffer from severe flatulence. Also typical is the bilious temperament with an increased irritability and increased vulnerability. Treat gallstones homeopathically – which remedies are suitable? The homeopathic treatment of gallstones is usually in a homeopathic constitutional treatment. Often it is the homeopathic remedies that also have a strong liver reference, which are helpful in gallstones. In order to successfully treat homeopathic gallstones, it is usually necessary to perform a homeopathic constitutional treatment. In practice, the four large polychrests Calcium carbonicum, Lycopodium, Sulfur and Sepia have proven successful. But there are other, less typical homeopathic remedies for the treatment in question. It is often homeopathic remedies that have a strong effect on the liver, which are also beneficial for gallstones. The displayed homeopathic remedy can keep the gallstones symptom-free for a long period of time or even completely disappear. The everyday problems can not only cause different complaints, but they can also burden the soul. This in turn can have a negative impact on life. This creates a cycle from which there seems to be no escape. People have different methods to deal with their problems. There are many situations in which writing can help. For example, when important decisions have to be made. Often, those affected feel confused and do not even know how to decide. The writing down can bring a completely different view on the matter here. Sometimes writing can help to find out what is going on in the emotional world. Especially after the loss of a loved one or the failure of a love, the emotions run roller coaster and you do not even know what's going on. But even in life crises or problems, it can be helpful to put your thoughts on paper. In general, it may also be useful to keep a journal in certain life situations. In this important events or even difficult phases can be recorded. Looking back, you will realize later that everything has been done. Which situation is currently problematic? What goals should be achieved? What does your own emotional world look like? Why are these feelings present or what was the trigger? What fears, worries or doubts plague you and which are of particular importance? What would be the worst in this situation and how likely is that to happen? How can you better handle the situation? Some of these questions will certainly not fit all life situations. Find out for yourself what fits and what does not. By writing down the problems, worries or fears you set yourself again with the issue intensively. Many people note when writing that they have long had the solution to a potential problem. Or they come by themselves on how the situation can be changed. First and foremost, writing is about writing the frustration and the burden of the soul. Then you can quickly find new ways. The reporting season for 1Q 2019 is underway, and revenue is becoming a bigger source of concern than profits. Only 42% of companies thus far have beaten revenue estimates, dramatically lower than the 73% that topped consensus earnings forecasts. Those numbers are from analysis by Bank of America Merrill Lynch after about a quarter of S&P 500 companies reported by the end of last week, per a detailed story in MarketWatch. Run Lean Run Strong – By Running Shoes Guru is backed with a 60 Day No Questions Asked Money Back Guarantee. If within the first 60 days of receipt you are not satisfied with Wake Up Lean™, you can request a refund by sending an email to the address given inside the product and we will immediately refund your entire purchase price, with no questions asked. The guts of the Galaxy Fold. The first units of Galaxy Fold Samsung has shown that the phone may not be ready for its arrival in stores, with cell phones with screens that have presented major failures. This malfunction caused Samsung will delay the launch of the cell phone, however iFixit has taken the opportunity to open it, and explain from their perspective why this phone is having some problems. On its website, iFixit makes clear that the Galaxy Fold is "alarmingly fragile", which is why its repair index is low, because it is quite difficult. The site ensures that the cell phone has very fragile bevels that are not flexible enough to survive to be constantly folded. As if this were not enough, iFixit says that the screen is "delicate" and that the hinge and the screen protector will be the main problems of this cell phone, especially since the latter should not be removed, since when it is removed it is left OLED panel to the drift, something that already suffered some means, that reported that after removing this film the screen began to have a bad operation. iFixit also noticed that the phone fits well in the box without bending, and when you fold it the first time, the screen crease in the center begins to become more evident. The website also said that there is not enough protection to prevent dirt from entering through the hinges and other parts inside the device, which will ultimately affect its performance. On a scale of 1 to 10, iFixit gave the Galaxy Fold a 2 in reparability. Samsung announced that it will start selling the Galaxy Fold on June 13, although we ask ourselves: will it suffer like the Galaxy Note 7 and will it have to be discontinued? Take a look at the video that we leave below. Editor's note: This article was originally published on April 24, 2019. What if we took a little bit of advance on Frenchdays promotions for a good cause? 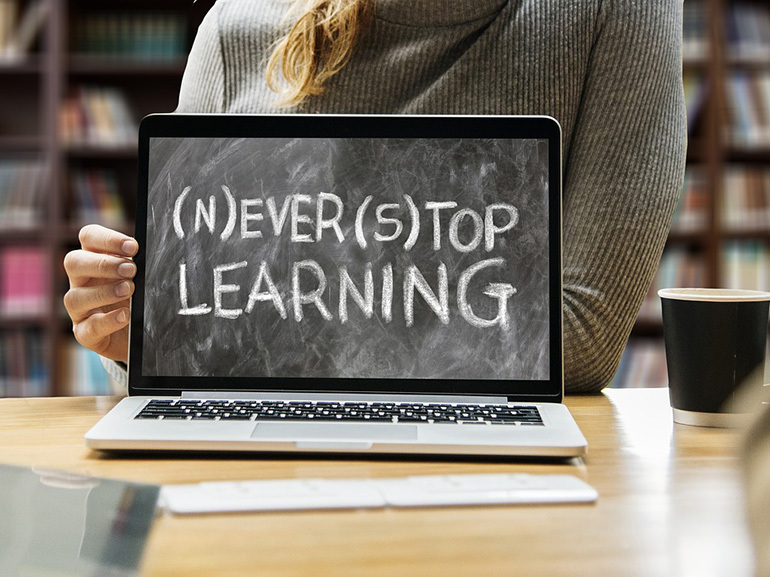 The Udemy online training service offers our readers the benefit of online courses at 10.99 euros during Frenchdays and for these two courses, the most popular on CNET France, it starts now. The courses offered here contain many chapters and several hours of explanatory video to follow at his own pace, without time constraints. It is possible to resume or redo training and exercises to progress at your own pace. To understand what the doctor wants to tell you, as a patient, you should understand the blood levels. At the annual routine check and complaints, the doctor will first arrange a blood test. At the meeting, however, as a patient, one often has difficulty understanding the explanations given by the physician. Abbreviations are unknown and whether a value is normal or conspicuous does not open up to the layman immediately. Your doctor did a blood test? Then it is important that you also understand the blood levels when talking to you. We help you with the decryption. The erythrocytes – also called red blood cells – transport the oxygen to the individual cells. The erythrocyte value is increased, inter alia, when there is an oxygen deficiency, such as in a heart or lung disease. The value is lowered z. B. in anemia (anemia). The most significant here is iron deficiency anemia. The value is also reduced in blood loss due to injury or unnoticed internal bleeding z. B. by a stomach ulcer. The leukocytes – also called white blood cells – are part of our immune system. If they are elevated, it speaks of inflammation in the body, an allergy or leukemia (the values ​​are extremely high here). If the values ​​are too low, this indicates a virus infection, eg. B. a flu. The so-called platelets are responsible for the blood clotting. If injured, the platelets are responsible for stopping the bleeding. If the function of the platelets is impaired or if there are too few platelets, it will take longer than usual for an injury to stop the bleeding. If the platelet value is reduced, the z. B. indicate leukemia or chronic liver disease. The value is increased, among others, in acute infections, chronic inflammations or tumors. In addition to the small blood count, in case of suspected inflammation usually also the BSG and the CRP are determined. In determining this value, the distance that the blood corpuscles sink in a glass tube in a given time is measured. With different illnesses the blood corpuscles sink faster or slower. The value can give indications of an inflammatory event. An elevated level of BSG may indicate, among other things, a bacterial infection or autoimmune diseases. The blood cell sinking rate has lost importance. The doctor usually also allows the CRP to be determined, as it reacts much faster and more clearly to inflammations. The C-reactive protein is a protein that is mainly formed in inflammation to remove dead cells or cell debris and toxic substances from the tissue. The CRP value is among others increased in bacterial infections, acute inflammation of the pancreas, in rheumatic diseases but also in acute myocardial infarction. The values ​​of the small blood picture give a first assessment of her symptoms. For a precise diagnosis often further investigations are necessary. As an informed patient, in the future you can follow up on your blood values ​​and ask for specific information. Talking: 3 Top Tips for the Right Speech Speed! Many speakers make a strange impression on your listeners. One of the most common reasons: You have chosen the wrong speech rate. Many talk too fast because they are excited. Many speak unclean. Others are bored because there is no dynamic. With the following tips, you entice the listener of your speeches with a suitable speaking speed. Compare yourself with a 400 meter runner: an awkward distance. It is between sprint and middle distance. If you do not know how to control your pace, you fail. Use this knowledge for your speech. Train in advance of your speech. Between 80 and 100 words per minute make listeners feel comfortable. At the beginning, focus your speech on this pace. Show that you are in control of the situation and can control the speed while making a speech. An always the same pace ensures sprain for the runner – as well as the speaker. Therefore, go through the sections in advance of your speech. Ask yourself where you can put on or slow down in the tempo. For example, you will get faster in the scenic depiction of an eventful game. For example, you become slower when describing a ritual typical of the main character of your speech. "You know how Peter celebrates smearing bread. Good: for all … open butter … knife in the right hand … one minute later then … "
It's a simple rhetorical trick. As you give a speech, ask questions to the audience. It does not matter if you really expect answers to complement your speech. Or, whether you are asking a rhetorical question that everyone can answer, you gain a few seconds of rest. Gather up at this point. Keep in mind the planned speech rate again!